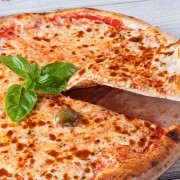 Pizza has held a spot on our plates for thousands of years.Discover how the classic dish gained a permanent spot in our dietary imaginations. 1. 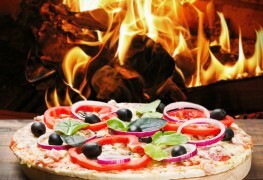 Italy lays claim to the origins of the first pizza, as does Greece. The matter is difficult to settle and the debate remains open. But one thing is certain, the origins of pizza are distinctly Mediterranean, and we owe its modern version to Italy, and more precisely, to Naples. 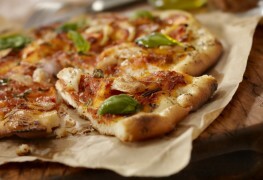 2.But the most classic of all pizzas is the pizza margherita, which can be found in all the best pizzerias. Composed of tomatoes, mozzarella, and basil, this pizza was allegedly concocted by an Italian chef as a tribute to Queen Margherita and to the green, red, and white of the Italian flag. 3. 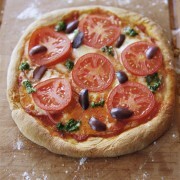 For the healthiest take-out choice, opt for a thin whole-wheat crust and replace the mozzarella with feta cheese. Substitute shrimp or chicken for the traditional pepperoni and your figure won’t suffer for a minute. 4. 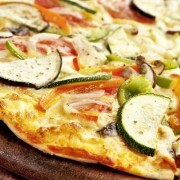 The month of October is recognized as International Pizza Month. 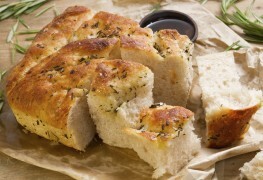 It's hard to believe that five simple ingredients—flour, water, a pinch of salt, olive oil, and culinary know-how—were enough to earn such renown around the world. 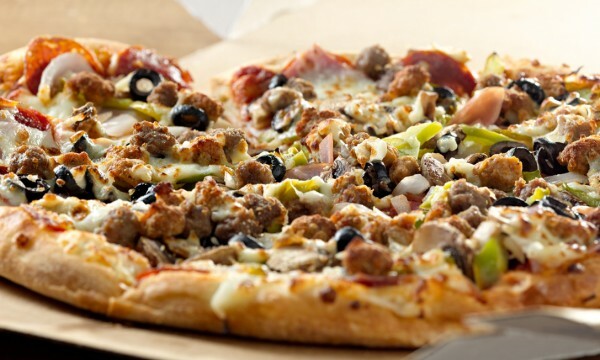 Pizza proves that the simplest things are often the best.